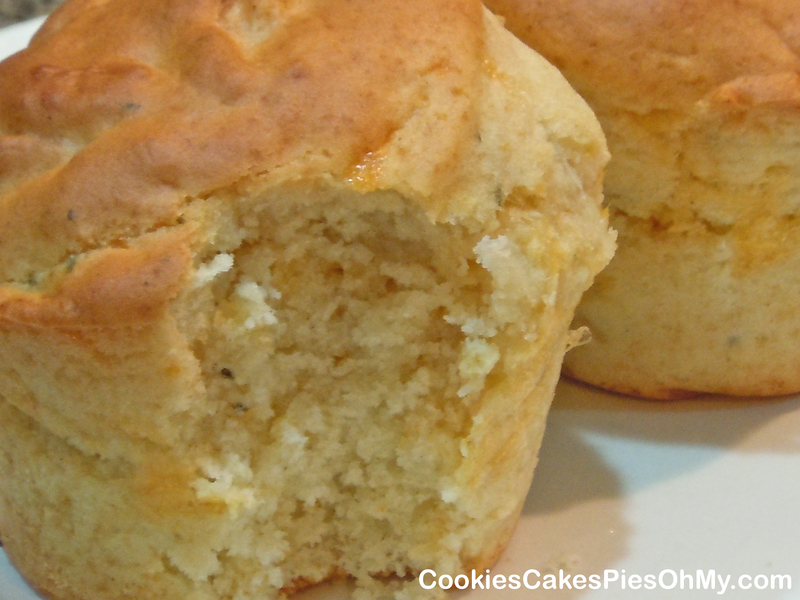 These are my “go to” muffins for a quick bread to go with a meal, great with soup. Stir together quick, scoop into muffin pan, and they are hot and ready in about 20 minutes! Preheat oven to 400°. Mix flour, baking powder, and salt. In another bowl, mix milk, egg, sugar, and oil. Add milk mixture to dry ingredients and stir just until moistened. Fill 6 sprayed muffin cups very full. Bake for 20-25 minutes or until golden brown. This makes 6 large muffins, double this recipe to make 12 large muffins. Stir in: bacon, shredded cheeses, green onion, dill, oregano, basil, parsley, caraway seeds, etc. You decide the combination you want. Thank you so much, mom! I’ve used your dinner muffin recipe two nights in a row and it has been perfect:) Not to mention all of the other recipes I have tried from this blog. Wonderful, simply wonderful! I am so glad it is useful to you. Love you sweetie! Thanks for a great, easy recipe! I baked a batch this afternoon, and they will definitely round out tonight’s dinner. It was great to be able to whip these up with ingredients on hand. I’m enjoying looking at the other recipes on the blog! Great! So glad you like this recipe. Thank you for visiting my site! Happy Baking! Wow these were amazing! I made them tonight to go with dinner and added some precooked bacon bits and shredded cheddar cheese to the batter. Big hit with my husband and 3 kids–thanks so much for the recipe! We’re adding these to the rotation for sure. So glad the muffins turned out great. Love the addition of bacon and cheese! Thanks for visiting my website! I agree, this is a wonderful recipe. I also added grated cheddar cheese & split the milk with 1/2 water & 1/2 evaporated milk. If you’ve ever eaten @ a Black Bear Diner, this recipe is very close. I posted this & your blog on my FB page as I have many bakers as friends! Thanks Kristen! Adding cheddar cheese sounds great! Thanks for your comment Patty!